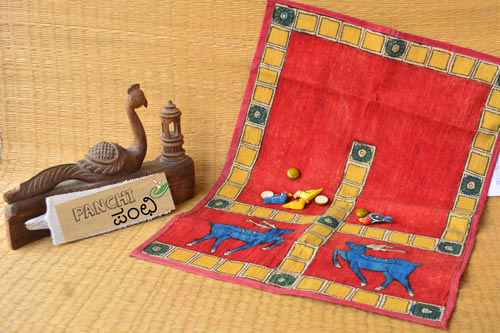 Played by ancient royalty, Panchi is a fast paced 2-player board game. Be it the king's courtroom or the urban courtyard, this game set fits seamlessly, bringing in lots of fun and excitement. This kalamkari set includes wooden counters and cowrie shells.